Product code: GP12-55 Categories: Batteries, Mobility. 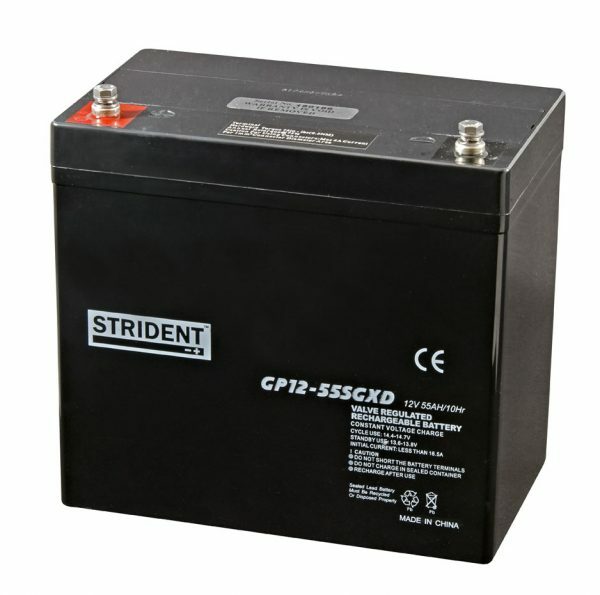 This battery fits some of the large size scooter range and most require 2 batteries you must check your scooter batteries to be sure you order the correct ones, if at all you are unsure what to order then please call us on: 01782-330846 and we will be happy to point you in the right direction. Strident 12v 55ah battery Lead Range.